Process experts recommend jacketed or traced pipelines based on fluid properties and site weather conditions. Here we are briefly addressing engineering guidelines for the instruments located on jacketed pipelines. 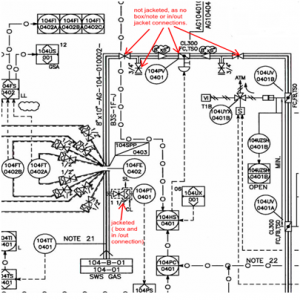 To understand the instrument connections on jacketed pipelines, one need to understand jacketed piping systems- P&ID representation and required connections. Jacketed pipelines are generally used in process piping systems where solidification of process medium may occur or jacketing is used as an anti-frost measure as recommended by process experts. 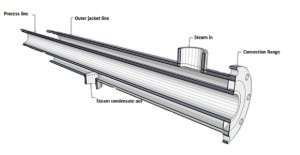 Jacketed pipelines helps to convey the complex process fluids (i.e. very viscous or likely to solidify) in an inner pipe, heated by steam / hot water/ hot oil or other heating medium between the jacket and the core pipe. 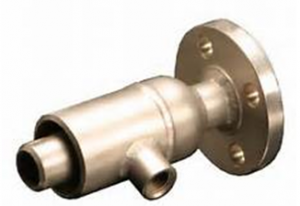 Vacuum jacketing is also used as an insulator for cryogenic fluids. 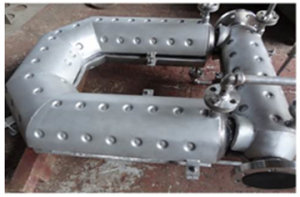 Generally outer jacket pipeline is one size higher than inner core pipeline upto certain line size. However, the project specific piping specifications for jacketed pipelines shall be referred for the details. 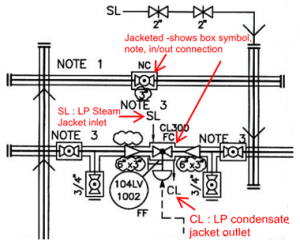 All straight lengths, flanges, fittings, valves and branch connections are fully jacketed.The jacket is generally shown by box around the item in P&ID. There may be a note in the P&ID referring jacketed item. For clarity, one need to understand fully jacketed/partial jacketed type pipelines with respect to pipe material specifications. In case of partial jacketed pipelines, only straight lengths of pipes are jacketed. Flanges, elbows, tees, branch connections and welds are not jacketed. Or sometimes there is less possibility of the fluid to solidify in the pipeline being flowing, but it may solidify in the nozzle, in such cases, pipelines are not jacketed and nozzles are jacketed. Or jacketing is only considered for straight length and for nozzles based on process recommendations. Example 3:Pipeline is jacketed but inline valves are not jacketed. 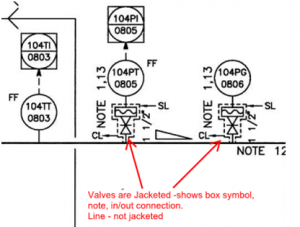 Example 4:Pipeline is not jacketed but isolation valves are jacketed. 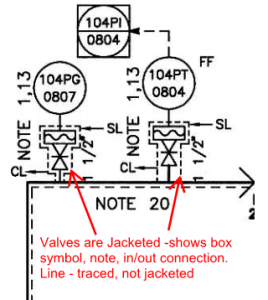 Example 5:Pipeline is not jacketed (it is traced) but isolation valves are jacketed. Now let us see jacketing connections in both the types. 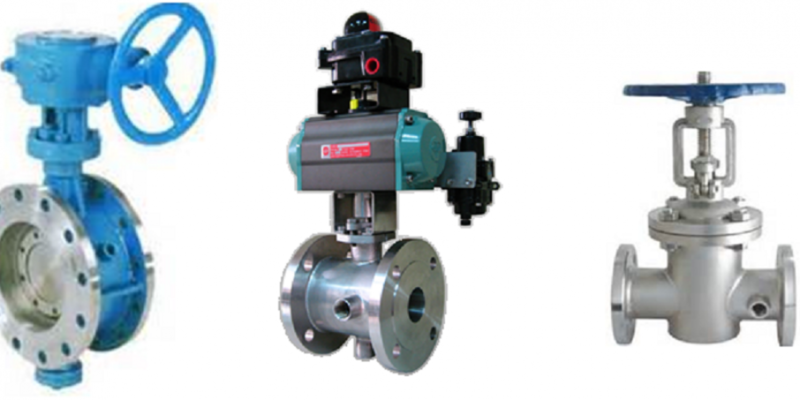 In this case, valves are bought as jacketed valves, with flanged inlet & outlet connections for jacketing medium. 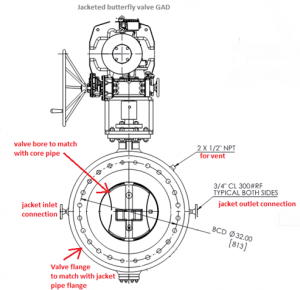 Jacketed valves have standard bore (to match with core pipe) and oversized flanges(to match with jacket pipe flanges). For discontinuous/partial jacketing, end of the jacketing is welded to the inner pipe. Jacketing requirement shall be considered as per P&ID representation (i.e. jacket symbol), notes etc.Query if any, shall be discussed with piping & process in the beginning of the project. 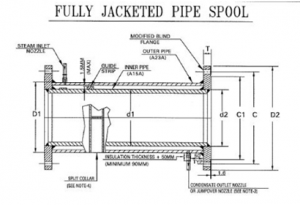 For clarity, understand jacketing requirement with respect to pipe material specifications. Jacketed inline instruments shall have standard bore (to match with core pipe) and oversized flanges (to match with jacket pipe flanges), with flanged inlet & outlet connections for jacketing medium as per project specifications. For jacketed instruments, jacketing medium process data, material, jacketing inlet and outlet connection, related project spec. etc. details shall be communicated to instrument vendor. Proven Track Record for supply of jacketed instrument shall be obtained from the instrument vendor in order to avoid post-order issues. Jacketing requirement shall be considered as per P&ID representation i.e. if root/isolation valve (i.e. nozzle mating connection) is jacketed then instrument side mating connection shall be as per jacketing connection guidelines mentioned in the piping specifications i.e. generally one size higher than inner core pipeline upto certain line size. Refer project specifications, if main line and nozzle is jacketed for offline instruments, then related impulse piping/ tubing may require tracing /jacketing, special size etc.Accordingly requirement shall be taken care while engineering.